Recently I made the amazing "Oh my bear" sweater from Tiny Owl Knits, but it turned out looking more like a cross between a wolf and a bear because of the colours that I used. 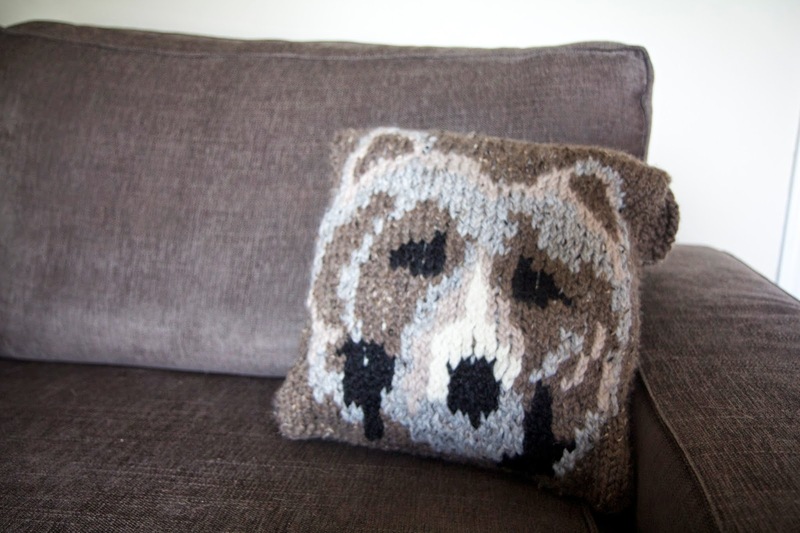 Coincidentally my DIYBFF and her husband to be's spirit animals are a wolf and a bear! After making the sweater I knew I had to incorporate this pattern into something for them. 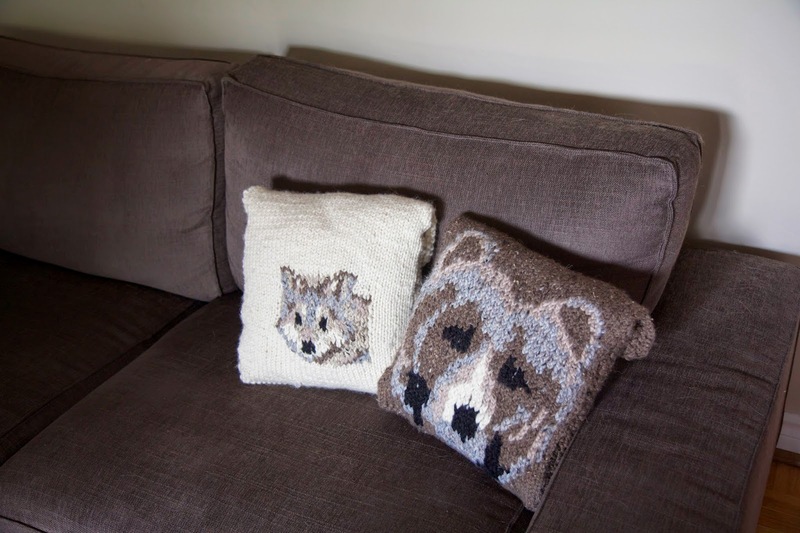 I decided on pillows and bought a second pattern set from Tiny Owl Knits - The Woodsy Association for the actual wolf pillow. I used super bulky wool (Lion Brand Wool Ease thick & quick) and size 10 needles. And there you have it!!! Let me know if you end up making them. They look difficult but were sooo fun to make and once you get the hand of colour work aren't too difficult. I tried to draft a wolf pattern that was as big as the bear but I didn't have enough time and didn't want to risk it. So I just gave up and did the pattern in the size given by TIny Owl Knits. I mean it's a homemade gift so can't be perfect right? I think those pillows are awesome ! !